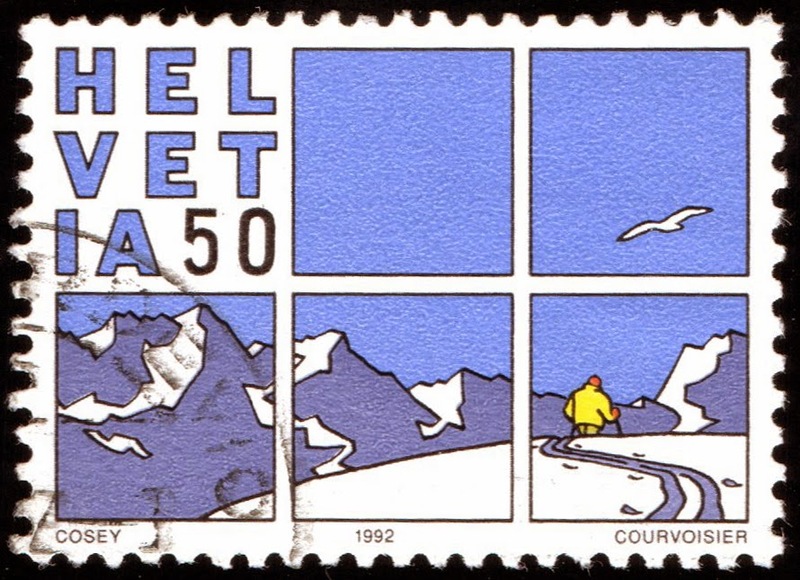 There is more information on the artist over at the excellent Lambiek site. 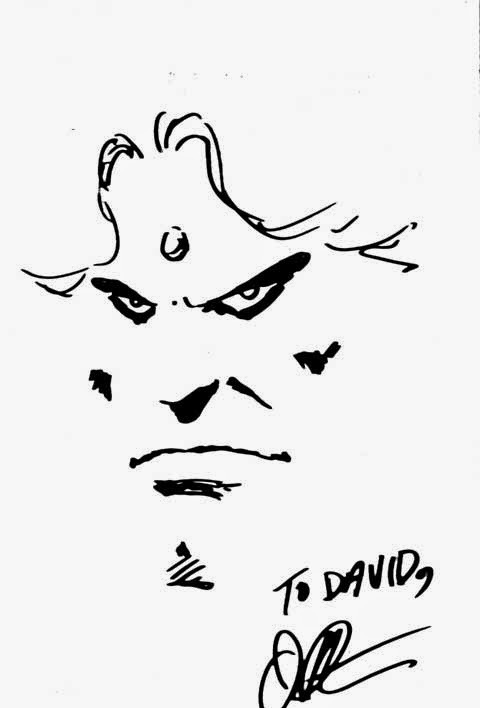 Here's a sketch of Adam Warlock by Jim Starlin drawn at an event I wrote about previously. Starlin was charming and I was very pleased to get this sketch from a childhood favourite. I joined a Facebook group called "Marvel UK Comics" today. I'm already in one called "Make Mine Marvel UK". I'm not yet sure what the difference between them is, if any. They are both nostalgic for comics I grew up reading. 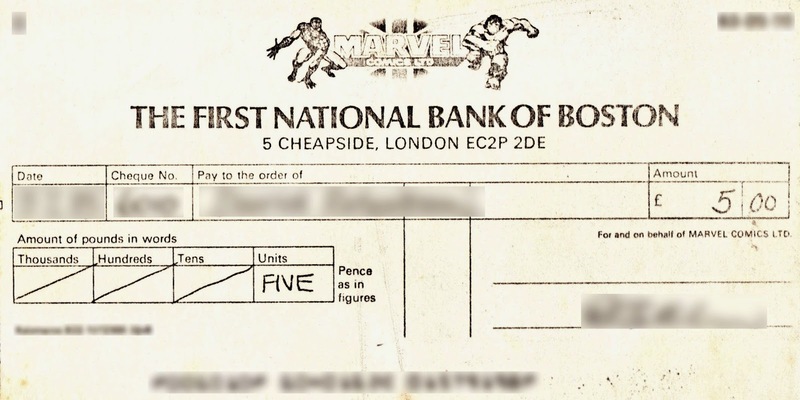 As I mentioned on the group, that Spider-Man and Hulk cheque got a funny look in the bank. It was like trying to use Monopoly money in the real world.